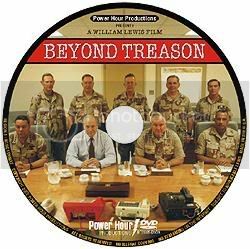 This extremely powerful 89 minute film presents comprehensive documentation from United States Government archives of a massive cover-up, including military and civilian experimentation, dating back over 60 years. 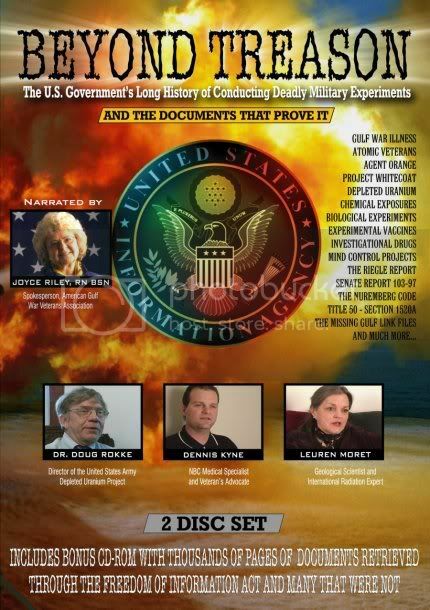 Hear the testimony of experts and of United States military veterans who demand answers to questions that the Department of Defense will not address. What causes Gulf War Illness? Some believe these illnesses are caused by exposure to depleted uranium munitions used on the battlefield. Others believe chemical and biological exposures are the prime suspect. While yet an even larger group argue that experimental vaccines given to our troops, without their knowledge or consent, may have lead to the demise of many of these soldiers. Is it a combination of overlapping exposures? A growing number of scientists and respected experts in their fields have been coming forward to share their research and first-hand knowledge of official betrayal. Links to 165 GB shared files on emule.